Our hearts are feeling heavy this week. 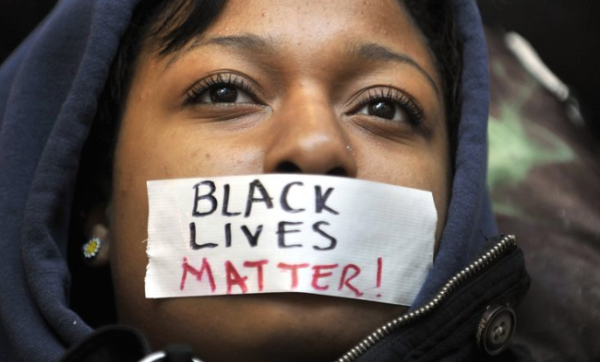 With the senseless deaths of Nabra Hassanen and Charleena Lyles, the Philando Castile verdict, and the secret, not-so secret lies of the Senate as they try to squeeze through Trumpcare. And we’re mad as hell, really. We’re not alone in that. (See Shortcut). Thankfully we have the brilliant words of peacemaker and professor, Najeeba Sayeed, on communal grief and the opportunity to celebrate Juneteenth and World Refugee Day. We’re also activating around healthcare and justice and listening to a Senate-approved playlist. Take good care of yourself this week. It’s Summer Solstice, the longest day of the year and the first day of summer. 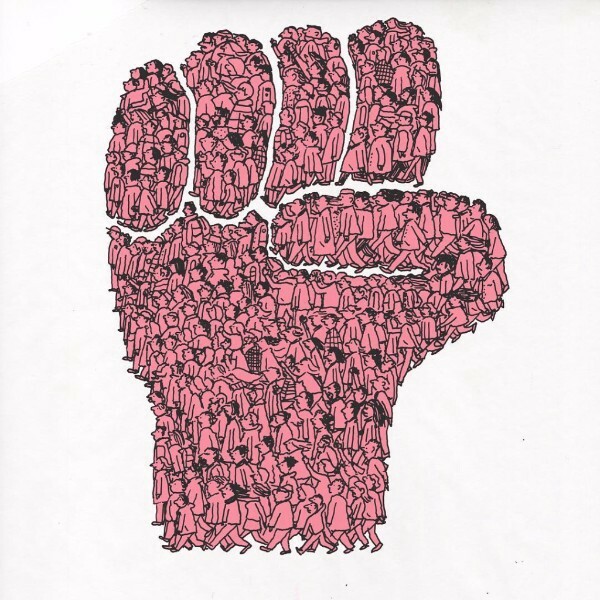 Via @womensmarch, we love this #signofresistance by Jean Jullien in celebration of the #summerofresistance to come. With the senseless deaths of #NabraHassanen and #CharleenaLyles, we are once again reckoning with the injustice against black and brown bodies. And we are mad as hell about the Philando Castile verdict. Trevor Noah, along with so many of us, is baffled and out of his mind regarding the verdict on Friday. And he’s pointing his finger at one org’s silence. We endorse. 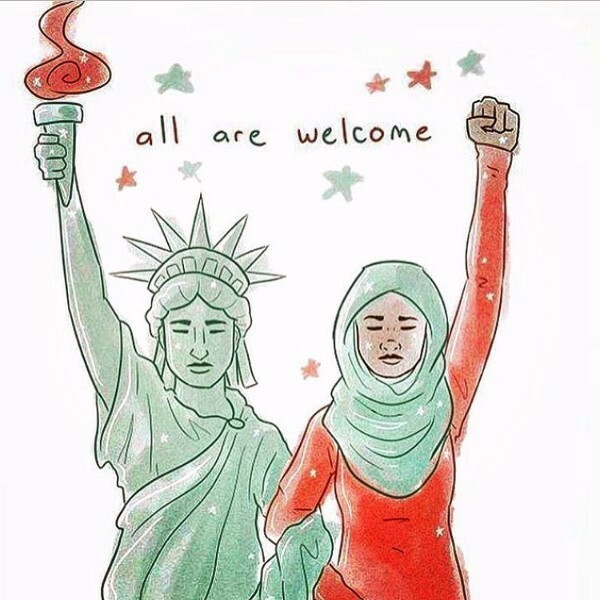 As we mourn our neighbors, let’s take active steps to stop Islamophobia and insist #BlackLivesMatter. See our ACT UP section for more. The Senate is trying to push through behind closed doors a bill that will cut taxes and slice health care. Our ACT UP section has action items for you, but here is a good piece on how the slices will be a double hit for women who take care of their elderly parents. And does somebody want to tell the GOP that not one state supports Trumpcare? And in the wellness bubble, we’re debating all things Goop. Online mega-retailer Amazon is going wholesome with the purchase of Whole Foods. Here’s why its bad for business. Even Alice Waters has something to say about that. And if that’s not bad enough, Angry Chef Anthony Warner has his kale in a bunch over wellness fads. The good news…we can drink coffee again. It’s World Refugee Day. Come together for a week of welcome. It’s not too late to get involved in the different events happening in your area, or start one of your own. Here’s how to plug in. We are outraged by the Philando Castile verdict. Color of Change is circulating a petition to ask that the officer who shot and killed Castile, Jeronimo Yanez, not receive a severance package. Sign here. You can also send prayers, words, tools, guidance, encouragement, gifts, and resources to the families in Minnesota impacted by the killing of Castile. 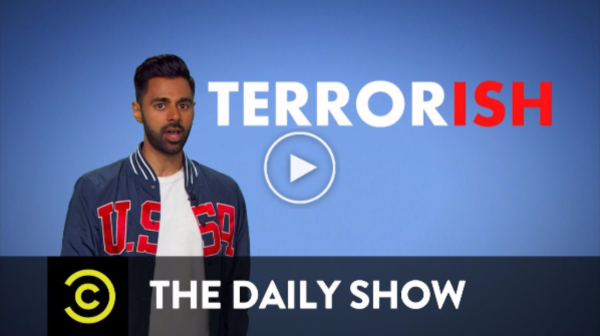 And educate yourself now on how to best support Muslim kids in this country. In honor of Juneteenth, the official anniversary of the emancipation of slaves, the Black Land and Liberation Initiative in collaboration with BlackOUT Collective and Movement Generation organized a direct action in which black people reclaimed spaces, from empty lots to schoolhouses, to confront institutions who have historically denied access to them. And these photos demonstrate why we must celebrate the day. Indivisible Guide has a thorough action plan for June. Check it out in full here. Also, you can sign your name to an amendment demanding fair coverage. Indivisible will deliver them to health staffers and Senate Minority Leader Chuck Schumer. The plan is to bury Republicans in amendments until they succumb to public hearing. How do we reckon with unimaginable heartbreak? The last few weeks (years, really) are taking their toll on our communities, and bringing forward personal and collective healing practices. How we grieve feels potent and relevant right now. 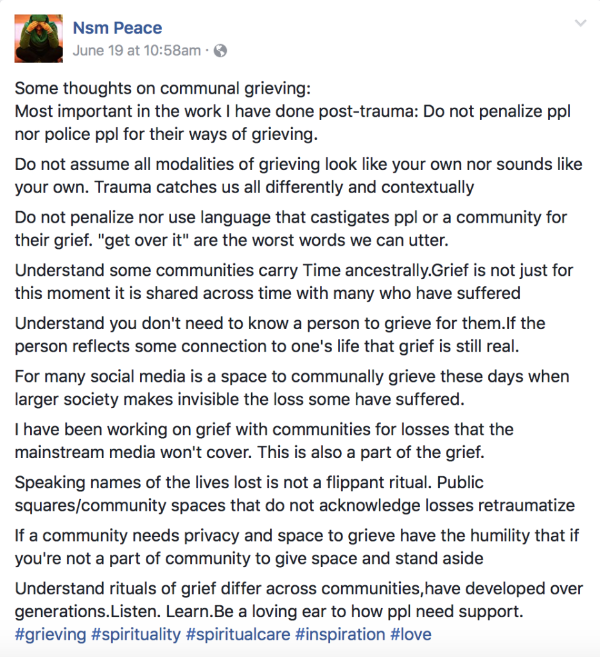 And it’s vital to remember that we must allow each other to grieve in our own unique ways. 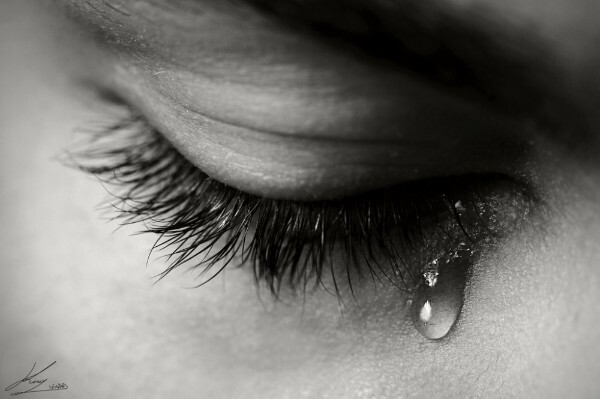 As Najeeba Sayeed, professor, peacemaker, and activist, puts it so beautifully, “Do not assume all modalities of grieving look like your own nor sounds like your own. Trauma catches us all differently and contextually.” Read her full post. Please. This is incredible. On America’s war problem. Watch. Spread. Discuss. This newsletter is still searching for Kamala Harris GIFs cause we just love her. Forward to a friend who also loves a good long winding GIF search. 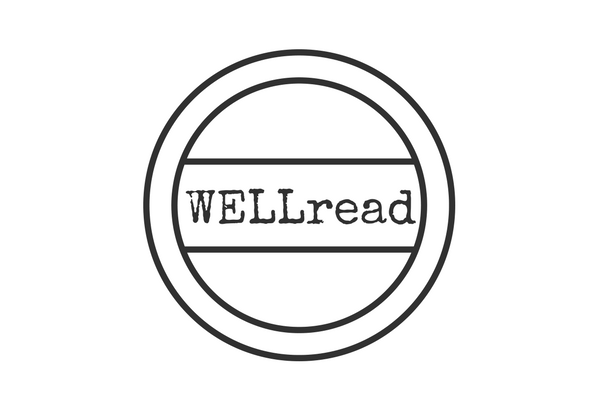 WELLread is produced by CTZNWELL, a nonprofit mobilizing the wellbeing community to take action for the health and justice of all people. Was this email forwarded to you? Find out more about our organization and subscribe.